Oxford University offers Reach Oxford Scholarship for Undergraduates to learn any of the courses in the UK except medicine. 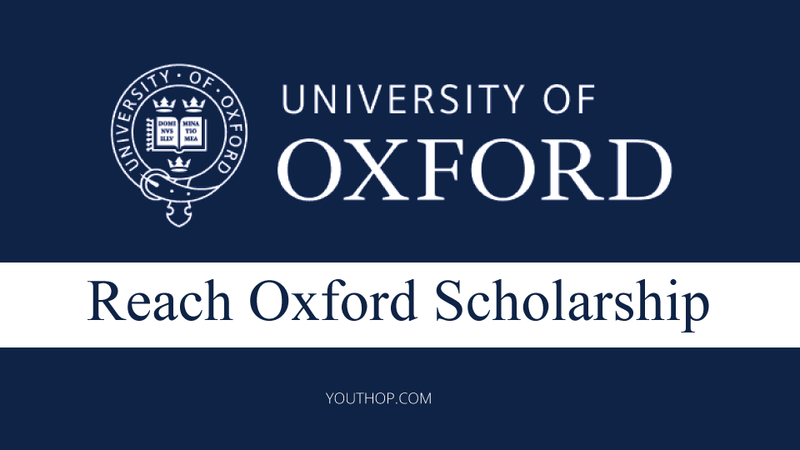 A number of Reach Oxford scholarships are offered to students from low-income countries who, for political or financial reasons, or because suitable educational facilities do not exist, cannot study for a degree in their own countries. The University of Oxford is a collegiate research university located in Oxford, England, United Kingdom. Applicants should be intending to return to their country of ordinary residence following their studies. Priority will be given to students who have not studied at the undergraduate level before. Oxford has a distinctive collegiate structure. Students and academics benefit from belonging both to the University, a large, internationally-renowned institution, and to a college or hall, a small, interdisciplinary academic community. The University is committed to ensuring that our undergraduate admissions processes identify students with outstanding academic potential and the ability to benefit from an Oxford course whatever their background. The University of Oxford undertakes a wide range of activities to inform, attract, and support the ablest candidates from all socio-economic, cultural and geographical backgrounds. They know that their main challenges lie in encouraging students from under-represented groups to apply to Oxford and in helping them to make competitive applications. As a result, their outreach activity has become increasingly targeted at those groups that are under-represented in higher education in general and the University of Oxford in particular. Oxford aims to deliver an exceptional education, to carry out world-leading research, and to make significant contributions to society – locally, nationally, and internationally. Their extensive and ever-expanding global links have been developed to serve these principles. The scholarship will last for 3 to 4 years depending on the course length. The scholarship will includes course fees, a grant for living costs and one return air fare per year. This scholarship covers 2 – 3 awards per year. Please visit the official link for eligibilities. Eligible Regions: Afghanistan, Albania, Algeria, Angola, Antigua and Barbuda, Argentina, Armenia, Azerbaijan, Bangladesh, Belarus, Belize, Benin, Bhutan, Bolivia, Bosnia and Herzegovina, Botswana, Brazil, Burkina Faso, Burundi, Cambodia, Cameroon, Cape Verde, Central African Rep., Chad, China, Colombia, Comoros, Congo, Dem. Rep., Congo, Rep., Cook Islands, Costa Rica, Côte d’Ivoire, Cuba, Djibouti, Dominica, Dominican Republic, Ecuador, Egypt, El Salvador, Equatorial Guinea, Eritrea, Ethiopia, Fiji, Gabon, Gambia, Georgia, Ghana, Grenada, Guatemala, Guinea, Guinea-Bissau, Guyana, Haiti, Honduras, India, Indonesia, Iran, Iraq, Jamaica, Jordan, Kazakhstan, Kenya, Kiribati, Korea, Dem. Rep., Kosovo, Kyrgyz Rep., Laos, Lebanon, Lesotho, Liberia, Libya, Macedonia, Former Yugoslav Republic of, Madagascar, Malawi, Malaysia, Maldives, Mali, Marshall Islands, Mauritania, Mauritius, Mexico, Micronesia, Federated States, Moldova, Mongolia, Montenegro, Montserrat, Morocco, Mozambique, Myanmar, Namibia, Nauru, Nepal, Nicaragua, Niger, Nigeria, Niue, Pakistan, Palau, Panama, Papua New Guinea, Paraguay, Peru, Philippines, Rwanda, Saint Helena, Samoa, São Tomé and Príncipe, Senegal, Serbia, Sierra Leone, Solomon Islands, Somalia, South Africa, South Sudan, Sri Lanka, St. Lucia, St. Vincent and Grenadines, Sudan, Suriname, Swaziland, Syria, Tajikistan, Tanzania, Thailand, Timor-Leste, Togo, Tokelau, Tonga, Tunisia, Turkey, Turkmenistan, Tuvalu, Uganda, Ukraine, Uzbekistan, Vanuatu, Venezuela, Vietnam, Wallis and Futuna, West Bank and Gaza Strip, Yemen, Zambia, Zimbabwe. 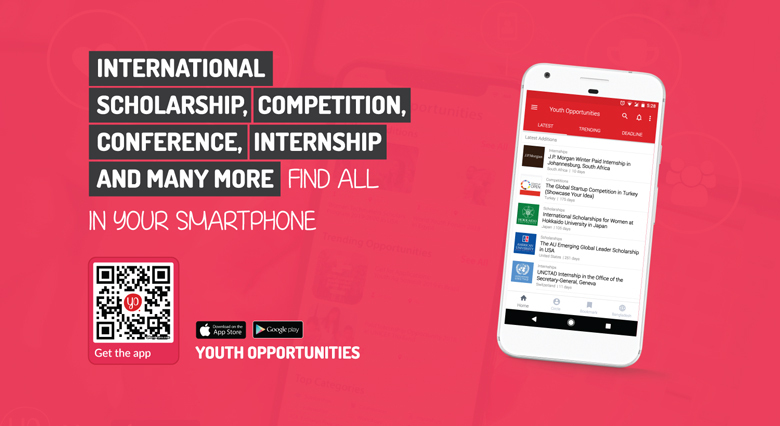 Please visit the official website for the application process.